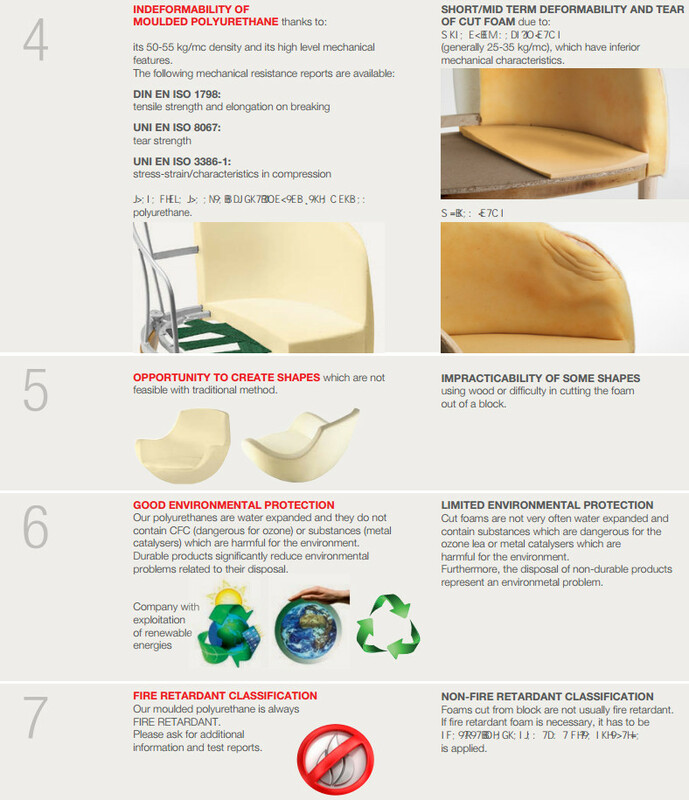 Why are our moulded Polyurenthane seating products qualitatively superior to traditional handmade ones? DURABILITY. 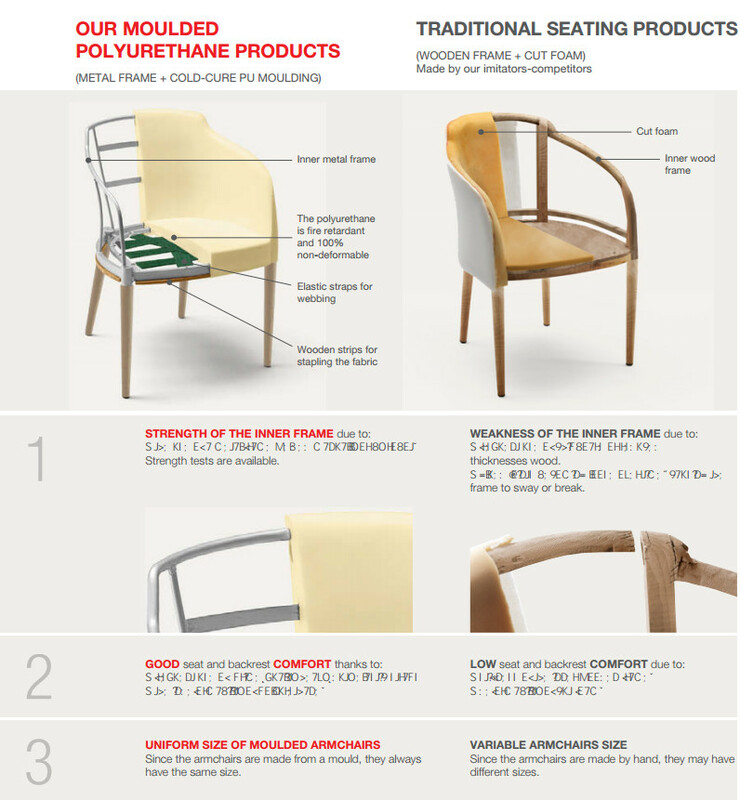 Below is a list of advantages of our cold cure polyurethane products compared to the traditional ones.